'YOU CAN Come In But Don't Start Anything' is not a warning that will be issued to audiences coming to see Jason Byrne next year. Rather this very Irish expression is the title of his new show. 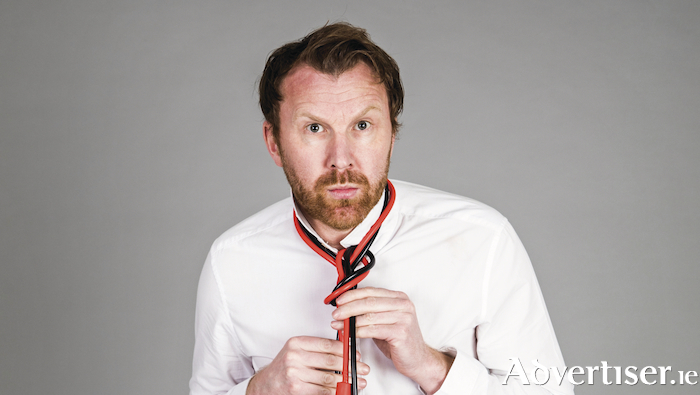 Jason Byrne will perform You Can Come In But Don't Start Anything in the Black Box Theatre at 8pm on Saturday March 9 2019. Byrne is a master comedian, who has been described by The Times as "the outright king of live comedy". The Edinburgh Evening News has said "watching a new Jason Byrne show is a bit like witnessing lightning in a bottle", while Metro declared him "consistently brilliant". Jason has also appeared on Ireland's Got Talent. Kevin Gildea - a comedian, and maybe an astronaut? Page generated in 0.0813 seconds.